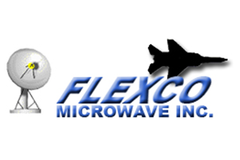 Flexco Microwave inc - RFMW UK, Ltd.
Flexco Microwave Ultra phase stable flexible test cables for VNAs, Radars and mission critical solutions to 50GHz. Flexco provide test cables for applications where repeatability and stability are critical. Under flexing products are some of the most stable on the market. Stability maintained by a concentric repeatability of centre pin feed wrt outer coax. Flexco’s unique convoluted outer conductor remains unmatched for performance and flexibility during installation and operation. Flexco Microwave’s sealed outer conductor is manufactured using a patented process to form a highly flexible, tubular outer conductor from the highest quality copper. Center conductors are silver plated copper. Flexco’s patented dielectric processing methods make calculated helical cuts to air-articulated PTFE, nearly creating a flexible “air line.” Dielectric cuts are PTFE, polyethylene and expanded PTFE tape. These designs allow for no change in concentricity between the inner and outer conductors during repeated flexing, and therefore no change in electrical performance. For test cables Blue Grade (FC) ‘” Flexco’s Standard high quality test cable for everyday bench test and measurement applications.Lab Grade (NTC) ‘” Flexco cable is protected inside a Kynar tube braided with Natvar. This light weight and highly flexible assembly is cost effective and ideal for the engineering lab. SuperCable (ATC) ‘”Everything you’ve heard about Flexco’s SuperCable is true: It will stand up to virtually any production or field environment. 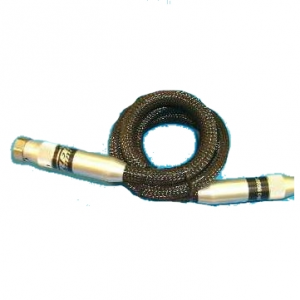 The Flexco cable is protected inside a stainless steel conduit, braided with stainless steel and jacketed with EPDM.